The opacity of the official college transcript is another reminder of the more institution-centric history of higher education. With the shift to student-centricity comes a demand for new and more flexible approaches to communicating student achievements, knowledge and outcomes. An education is no longer simply a box to be checked along the pathway to a successful life. What’s becoming increasingly important today is the desire to continue learning and growing to keep apprised of changes in the workforce, and to gain new skills and competencies that support growth. Colleges and universities are at the center of this paradigm shift in the way individuals engage in their education, but their approach to recognizing learning and outcomes has not kept pace. In this interview, Helen Chen and Thomas Black share their thoughts on the core issues with the standard postsecondary transcript and reflect on some of the innovative alternatives that are appearing on the scene. The EvoLLLution (Evo): What are the fundamental problems with the standard university transcript? Helen Chen and Thomas Black (HC/TB): For as long as registrars have been organized as AACRAO, the American Association of Collegiate Registrars and Admissions Officers—well over 100 years—the current academic transcript has been a largely successful document, designed with a specific purpose and audience in mind. It is a record whose primary function is to serve academic institutions and faculty, not external stakeholders such as employers or even the students and alumni whose learning is being documented. 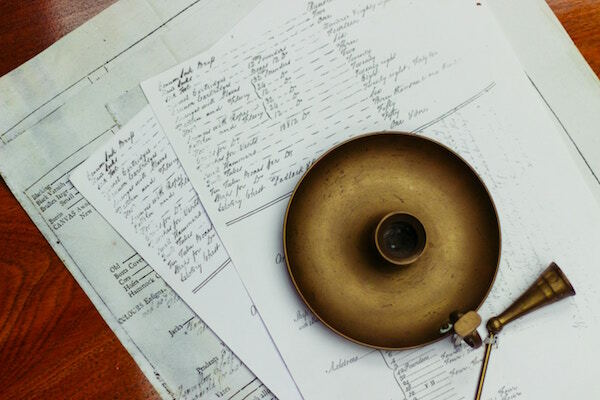 How can we create a more useful record (and useful to whom)? 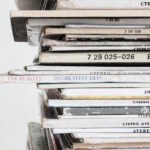 Why are we committed to a singular record vs. different types of records to meet the specific needs of diverse students and even more diverse stakeholders? Evo: How do these issues negatively impact students, employers and the institution itself? 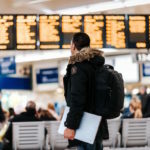 HC/TB: Increasing concerns about escalating costs of higher education to questions about the value of the degree for employment have resulted in increasing pressures from policy makers, the public, as well as parents and students. Current records contribute to this opacity about what happens in the ivory tower of academia. While the fulfillment of degree requirements is carefully recorded, many other aspects of a student’s education are not. As Randy Bass notes, experiential learning and high impact practices such as participation in undergraduate research, internships, and service learning are often not part of the formal curriculum and therefore not documented or even acknowledged despite the fact that involvement in one or more of these practices is associated with higher persistence, retention, and gains in learning measures. However, aside from the diploma denoting the conferral of the degree, when we consider where meaningful learning occurs and what alumni remember about their undergraduate education, the interactions and experiences that uniquely differentiate our institutions—particularly traditional, brick-and mortar-campuses—are not officially or unofficially documented anywhere. Clearly, the needs of students, employers and institutions are only being minimally met, if at all. Instead of reducing the richness of higher education into a “one size fits all” document, how can we do a better job of articulating the nuances of what our students and alumni know and can do? Evo: Digital credentials and badges have been proposed as solutions to the issues with the traditional transcript. What are a few pros and cons to these options? HC/TB: It’s encouraging to observe how innovations in how learning is captured and validated are reaching the far corners of the academy, particularly in the registrar’s office. 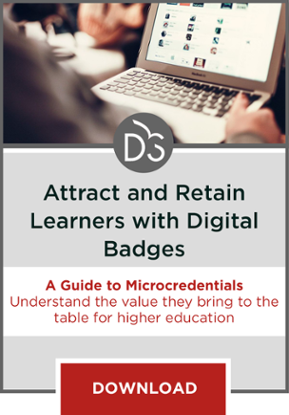 Digital credentials and badges are like canaries in the coal mine, spurring conversations and highlighting the discrepancies and specific needs of diverse learners seeking to acquire, expand, and enhance their knowledge, skills, and abilities to pursue new career goals. In some respects, digital credentials and badges are following the same evolution of transitioning from paper to digital or the physical to the virtual. Similar to the movement from paper to electronic portfolios, the added value of digital is seen in emerging features that support greater security, authenticity and portability (e.g, blockchain) and the ability to provide additional information about the context, requirements, and evidence of the learning that is being recognized (e.g., open badges). As we consider this rapidly evolving space, one caveat is to be careful not to rush into the codification of standards and strict guidelines in the name of interoperability. We want to take our time to explore, to experiment, and to be messy, creative, agile and responsive. By allowing ourselves time and space for reflection and creativity, greater innovation undoubtedly will occur. Evo: What are a few of other promising alternative options you’ve seen arise to help overcome the problem of the traditional transcript? HC/TB: As we’ve brainstormed about what the records of the future might look like, we’ve leveraged design thinking processes and approaches to imagine “what if…?” scenarios. What if we could “flip the transcript” and organize the presentation of classes according to instructor-defined learning outcomes? What if we could color code the courses on the transcript so that at a glance, one could see the breadth and depth of a student’s learning? 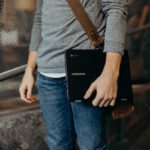 Freed from the constraints and costs of the medium of paper, what if we could create a closer connection between the official transcript and evidence of student work captured in a multimedia ePortfolio? Although we’ve developed many of these ideas as proofs of concept, they have served as conversation starters with the network of transcript stakeholders to identify specific needs as well as spur debate about what kinds of learning should be captured and displayed. More pragmatically, the model of the Comprehensive Learner Record led by AACRAO together with NASPA Student Affairs Professionals with support from the Lumina Foundation is being actively implemented at scale in two and four-year institutions as well as at the system levels. It is also interesting to note that a similar effort to design a better transcript in K-12 is being organized by the Mastery Transcript Consortium. Evo: How long do you expect it will take for the postsecondary industry to shift towards new approaches of conveying student learning and skills? HC/TB: Many stakeholders are raising their voices. The emphasis on learning outcomes and gathering evidence of how those outcomes are being achieved has preceded the more recent interest in how learning is represented and communicated. Over the last decade, we have seen accrediting agencies insisting that educational quality be evaluated through the assessment of learning outcomes to a handful of institutions rewriting their curricula to be scaffolded and expressed as competencies. 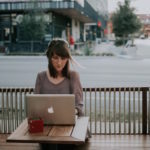 The unexpected popularity of MOOCs and the expansion of online education certainly served as a wake-up call to acknowledge that if colleges and universities ever had a monopoly on delivering education and granting credentials, that is certainly no longer the case. From this perspective, we must do a better job of articulating the value proposition of higher education to internal and external stakeholders. The impetus behind developing more comprehensive records and meaningful credentials is, first and foremost, to support the learners since ultimately, it will be up to them to make the case for how their education, qualifications and experience make them the strongest candidate for a position. Additionally, two other initiatives surely will begin to affect our institutions of higher education. The Credential Engine project is working towards creating a registry with an emphasis on outlining the skills and abilities that credentials from a variety of providers impart. The Quality Assurance Commons is an emerging organization that has engaged the US Chamber of Commerce to determine what is commonly expected by employers of graduates from our higher education institutions. Again, the focus is on what is learned and how it can be used to advance the interests of the ever-changing marketplace. While it is one of their enduring qualities that institutions of higher education are not subject to the unpredictable whims or fads of the day, they do and will evolve as the trends become better established and their efficacies become clearer. As the emergent language of outcomes becomes more mainstream, they will be more evident in established institutions and across the postsecondary industry. Rather than trying to force all learners into a one-size-fits-all transcript that minimally serves the needs of students, employers or institutions, new approaches must be found to record and communicate the achievements of students and alumni. As student outcome measures become a more important measure of institutional success and become more central to employer and learner demand, new approaches to recording student accomplishment will become more mainstream. It’s critical not to over-regulate some of the more innovative approaches to credentialing too early, to allow them to experiment and grow organically into truly valuable tools for students, employers and institutions alike.